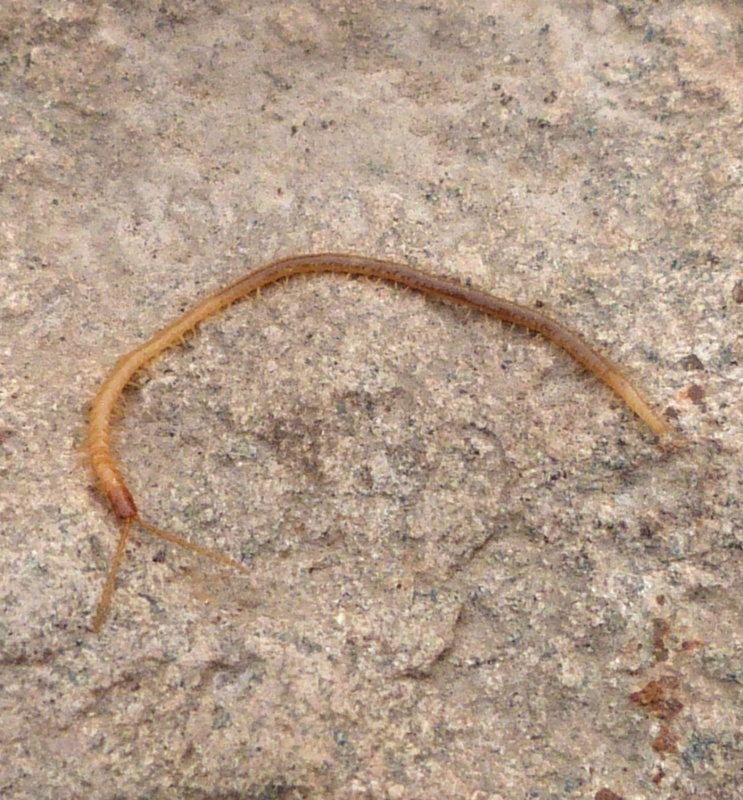 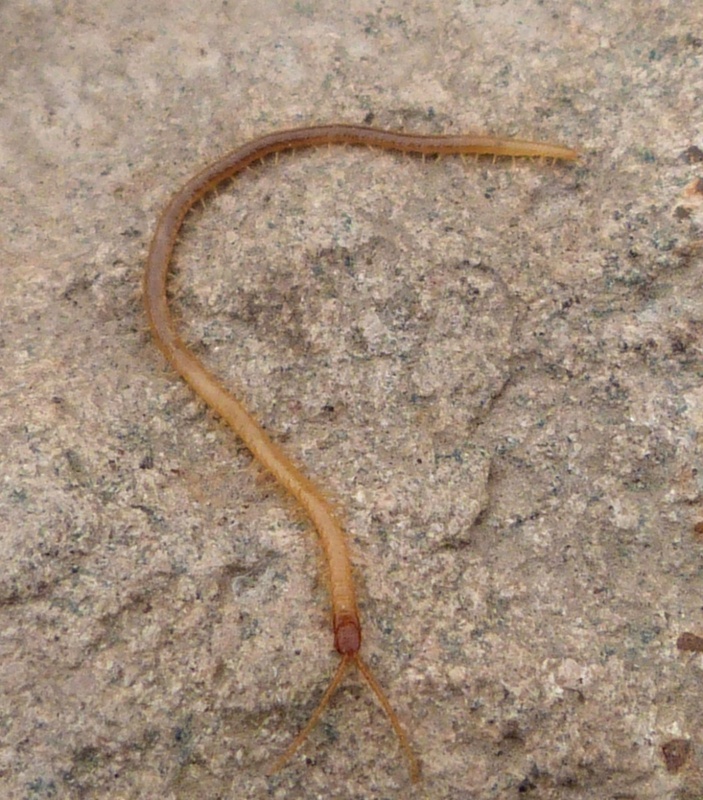 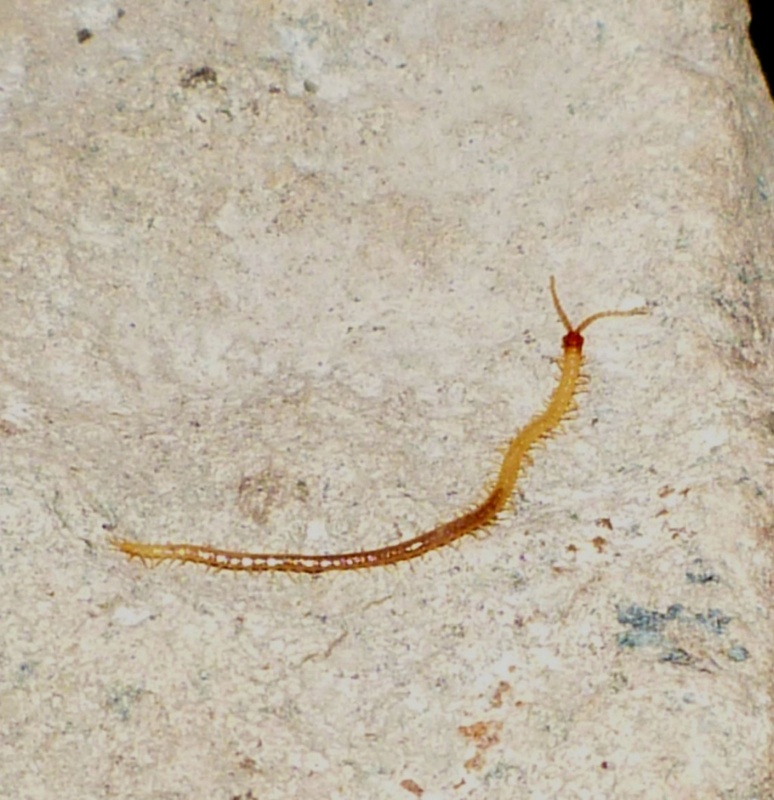 A fairly long (up to 45 mm), thin yellowish centipede with a red/brown head and with fairly long antennae. It has 45 to 57 pairs of legs. In the upper layer of the soil, under stones etc.